It was the 2008 Auto Expo when we saw the Kawasaki Ninja 250R for the first on Indian shores in it's brand new avatar. Least to say... we were damn impressed with it's big bike looks and sporty stance. I remember my elder brother asking me if I've any idea about this bike and I said "I guess so, it should be a 250cc, but it definitely looks bigger". That time time I had the impression of the older Ninja 250, which was way different than this one. 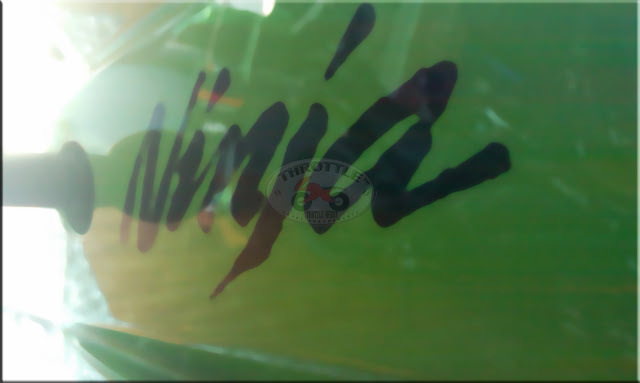 It was announced that the Ninja 250R would be brought to Indian shores by Bajaj Auto, in collaboration with Kawasaki. No longer this statement was made, the web space was flooded with speculation, and then began the perpetual wait for the bike to arrive, before it was finally launched in India on 7th, October, 2009. The best selling bike in the 250cc class, and the highest selling Kawasaki Ninja was here. The bike was brought in CKD (Completely Knocked Down) format, with parts being imported from Indonesia facility of Kawasaki and being assembled at the Chakhan facility of Bajaj in Pune. The bookings started with 3 months waiting and with a price tag of 2.7 lacs ex-showroom at Delhi. No doubt the price tag was on the higher side, and the Green warrior faced lots of criticisms on the price front, it's analog instrumentation and it's not so exciting exhaust note. But the revolution was here to make it's mark, to turn the Indian performance segment upside down in a clean sweep. It was the first true blue entry level sports bike in India. Auto magazines went berserk and all sorts of presentations and reviews were given in Oxfordish jargons and punctuations. My layman mind often used to think, if the person was actually saying anything about the bike or he has been possessed by the spirit of Shakespeare!! It was about time for me to get a feel of the Ninja up close and personal. It took some time for the Gurgaon Probiking to get the bike in and boy did it generate some buzz when it was brought into the showroom. Personally speaking, when wife and I went to get a feel of it, it was the better half who got more excited than me on seeing the bike, the Green was her choice. She was almost in mood to book the bike right there, but when we learned that there was more than 3 months of waiting for the Lime Green version, that put matters inside cold box (which as a matter of fact, is still in cold box). The test ride of the Green Goblin (as it was being popularly called by now) was still pending and in it was not until 15, May this year, that I finally got a short test ride of the Baby Ninja. Many thanks to Manan Chaturvedi, a very dear friend, for trusting a guy whom he then knew since just a couple of hours. In the mean while, Ninja 250s were being sold like the next best thing after Mc Burger ;) and in just a little over one year of it being launched, the Kawasaki Ninja 250R, saw it's 1000th owner. The occasion was marked in a big way, with the grand presentation being organized to hand over the key to a visibly delighted owner and a grand Ninja 250R rally being organized to commemorate the occasion. Many say that, it's not that a handsome number, but think about it, in a society where 9 out of 10 people think that if you can spend 3 lacs on a vehicle then it's better to spend it on a Maruti Suzuki Alto than buying a stupid two wheeler which would give you pathetic average for a bike, selling 1000 Ninja's in just over a year proves why the Ninja 250R is the best selling Ninja in the world. Really the Ninja 250R single handedly brought Kawasaki back into business in India, and what a way to come back in business. The small parallel twin 249cc motor did what even the big baddies 1000cc+ machines could not do - it found a mass market and that also at a price of choice. The Ninja 250R is definitely a gem. Truly a "beginner to the world of big bikes" delight. Maybe you should try opening up that "cold box"